To make it in Hollywood, a girl used to have to know how to act or know someone. She needs GINORMOUS eyes, too. It’s true. The latest crop of actresses have the largest eyeballs I have ever seen. We’re talking eyes so huge, they are practically on either side of their head. Like fish. Freaky, pretty fish. Are more girls being born with these bulbous baby blues? Or are casting directors merely drawn to how actresses with prodigious peepers look on television and film? “Beauty and the Beast” to “Little Mermaid” has been drawn with impossibly enormous eyes. 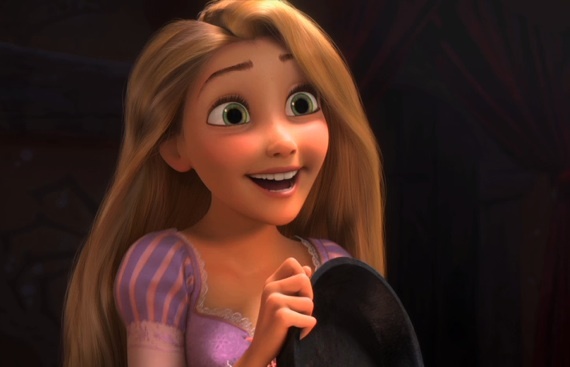 In their latest movie “Tangled,” Rapunzel has green eyes so gigantic, the two combined are bigger across than her waist. So, let’s consider some human examples. Anne Hathaway in Devil Wears Prada and Love and Other Drugs. Amanda Seyfried in Dear John and Letters to Juliet. All of the actresses on ABC Family’s “Pretty Little Liars.” Mila Kunis, who goes toe-to-toe with Natalie Portman in the ever-so-creepy — and I mean that as a huge compliment — Black Swan. All new Hollywood. All wearing those mega-watt eyes. In fact, when I tried to think of a successful actress with even slightly squinty eyes, I had to go back a few years to Renee Zellweger, who was so charming with Ewan McGregor in Down with Love and won an Oscar for Cold Mountain. And she’s really just squinty in comparison…not squinty in that Clint Eastwood/Dirty Harry “Make my day” kinda way. So, if you have your sights set on the bright lights, make sure your eyes are a sight to behold.